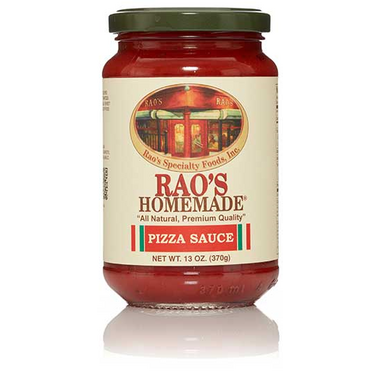 Rao’s Pizza Sauce is made in Italy using vine-ripened tomatoes and fresh vegetables. The flavour of the cherry tomatoes is unique and complements a wide range of food. This premium quality pizza sauce is rich, tasty and naturally sweet. Ingredients: Italian tomatoes, Italian cherry tomatoes, pure olive oil, fresh carrots, fresh onions, salt, oregano, fresh garlic, fresh basil. This pizza sauce is lick-the-spoon delicious! After trying it, I won't bother buying any other kind unless I'm really desperate! 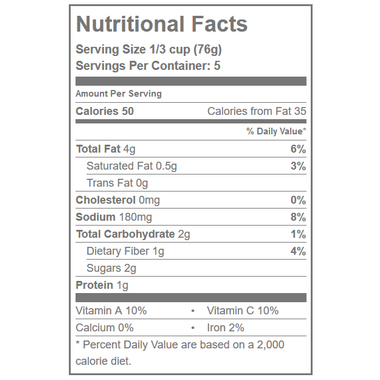 Excellent product-perfect on Keto-there is no hidden or added sugar and it tastes great.